It’s a great weekend for Ticket Alternative. We are excited to be ticketing events all over the country during the next few days! Whether it’s a sporting event, a circus, an Olympic viewing party or an outdoor festival, we’re thrilled to be a part of it all this weekend! Check out our Weekend Picks and let us know what event(s) you’ll be attending! This year, Ticket Alternative is a proud partner of the New Mexico Shrine Circus in Albquerque! The 2014 Ballut Abyad Shrine Circus will take place February 7, 8 and 9 at the Tingley Coliseum. Gather your family and friends, buy some popcorn and sodas and enjoy a magical show! > Adult box seats are $24, $30 at the door. > Children’s box seats are $18, $19 at the door. > Adult GA tickets are $14, $20 at the door. > Children’s GA tickets are $8, $9 at the door. Click the ticket link below to purchase advance tickets to any show February 7-9. Inspired by Osha Gray Davidson’s book of the same name and based on a true story, Mark St. Germain’s new drama, THE BEST OF ENEMIES reveals a universal truth: all people, no matter their differences, are capable of change. Amidst their incendiary words of prejudice and fear, Ann, a civil rights activist, and C.P., an Exalted Cyclops of the KKK, forge an alliance based in respect and trust in an honest-to-goodness, modern-day parable of transformation and triumph for civil rights. 11Alive and Springer Mountain Farms present The Sochi Celebration at Atlantic Station Central Park on Friday, February 7 from 6pm until 11pm. Gather your family and friends together to celebrate the opening of the Winter Olympics in style! For more details on the event, visit our blog. Formerly known as the Boston Indoor Games, the New Balance Indoor Grand Prix is one of the world’s premier indoor track and field meets. 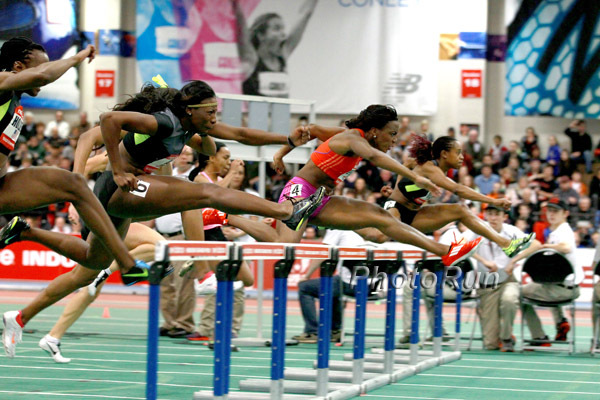 Held at the Reggie Lewis Track and Athletic Center on the campus of Roxbury Community College since 1996, the New Balance Indoor Grand Prix has featured over 100 Olympic and World Championship medalists and has produced six world records and ten American records. THIS EVENT IS COMPLETELY SOLD OUT, THERE WILL NOT BE ANY TICKETS AVAILABLE AT THE GATE THE DAY OF THE EVENT. This year, we are happy to announce our involvement with Varsity Vocals’ ICCA Quarterfinals! The International Championships of A Cappella provides top-notch collegiate a cappella groups with valuable feedback from qualified judges, and offers attendees a great way to see the top a cappella groups! Join us in Apopka, Florida for a weekend highlighting the outdoor lifestyle! The Old Florida Outdoor Festival will feature birding, fishing, hunting, shooting sports, Highwaymen art, kids activities, a local farmer’s market, backyard chili cook-off, DockDogs, and Florida Barbecue Association BBQ cook-off. The night will wrap up with a live performance by the Eli Young Band at Northwest Recreation Center’s Amphitheater. A live performance by Craig Morgan brings the weekend to an end. You won’t want to miss this family-friendly event!